Elf all about eyes pallette Recommended? You Betcha! 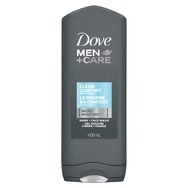 Dove Men + Care Clean Comfort Micro Moisture Body + Facewash Recommended? You Betcha!